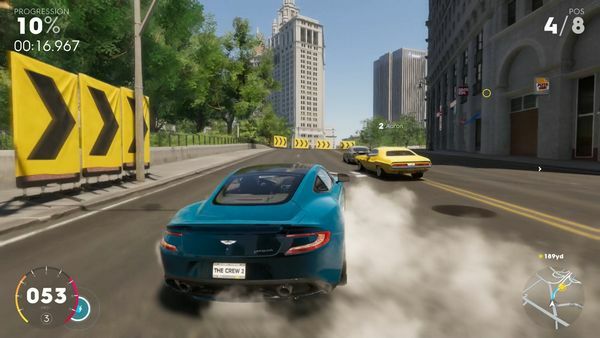 The Crew 2 has a lot in common with its vehicles; filled with choices of varying qualities, needing to be measured by a lot of different factors, and with some tweaking over time could be better than they are “off the shelf”. 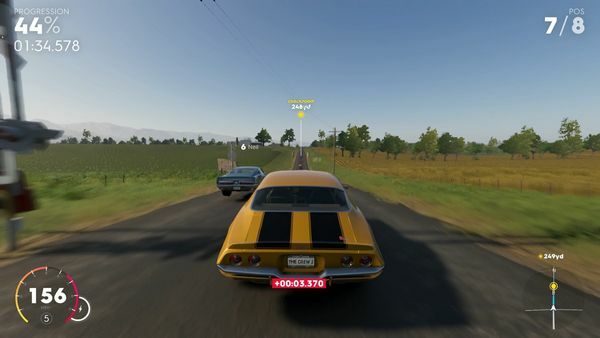 As a sequel, you’d expect it to follow in the tiretracks of its predecessor – an online-only racing game, with a scaled down map of the US to freely drive around, looking for events and other players to race. However, it’s also interesting what has been left out – there was a lukewarm revenge story in The Crew 1 to try and keep you focused and motivated, but here progress is a series of non-linear events to do simply because they’re available. There are four fields of discipline to take part in, each sub-divided into specific types of event, and its to the game’s credit how different the events feel. It’s not just the differences in how success is measured, between cars jostling for position vs dirt buggies running solo in a time trial vs drift cars racking up points for sliding around a tracking without quite clipping any obstacles, and so on… more than that, the actual handling of each event type does feel like something completely different. 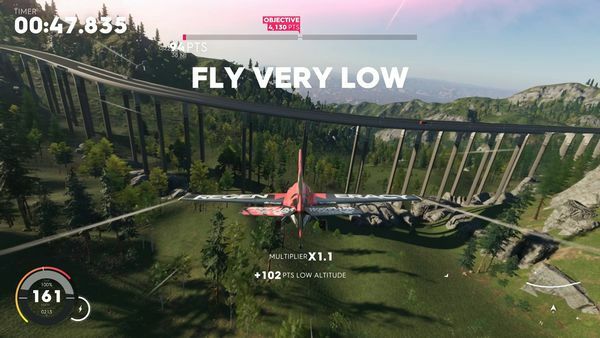 And this is before we look at the non-ground based forms of transport, thanks to the addition of stunt planes and racing boats in the game too. So many ways to explore that giant map, right? Well… no. You can, of course – the map is open from the start of the game, and the game tries to encourage you to get out there, looking for loot boxes (hinted by a radar sound when you’re closeby, but only while moving) or to challenge records set by other players on the roads… but there isn’t enough out there that makes it feel worthwhile to go looking in the first place. I can give two solid reasons for this. Firstly, fast travel is also open from the start of the game. Any event you can access, you can just teleport straight to the entryway of; there is no sense of “where” anything is, or needs to be, as you can save the process of travelling anywhere and just get to the main course of competing. It’s not just events either, as there are numerous driving challenges to take part in – hitting a certain speed at a checkpoint, getting distance from a pursuing car and the like – and these, too, can be fast travelled to. Not just driving challenges, but every form of racing; this instruction didn’t prove healthy in the long term for either my plane or the trees. Secondly, and perhaps a more fundamental problem for the game, is that anything you find in the world tends to be rather underwhelming. Finding the ghost of another player setting a challenge to powerslide a certain distance is fine to remind you this game is actually online, but comparing this to the sense of pushing through a pack of racing street cars as you try to make the finishing line… there is no comparison in terms of satisfaction. 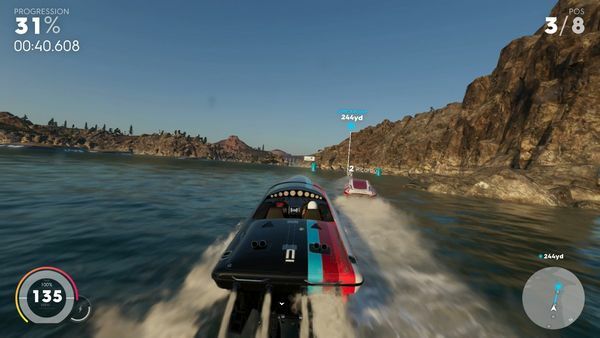 The dedicated racing events are where the enjoyment of the game is, at which point you realise that the open world – technically impressive it may be – is just padding, and worryingly it is padding that makes up a lot of the game. It has great potential, but is likely to be lost in the convenience of a menu system that not only shows you what to try next but takes you there too. The game stops feeling so big at that point. This is perhaps a key example of the game struggling to find a balance between form and function which shows up in several other areas too. It is curious how some elements are designed for convenience, but others to try and seem immersive. Perhaps the most glaring example for my hands on time was related to loot – pieces of vehicle equipment won from races, or occasionally handed out from found boxes and challenges. 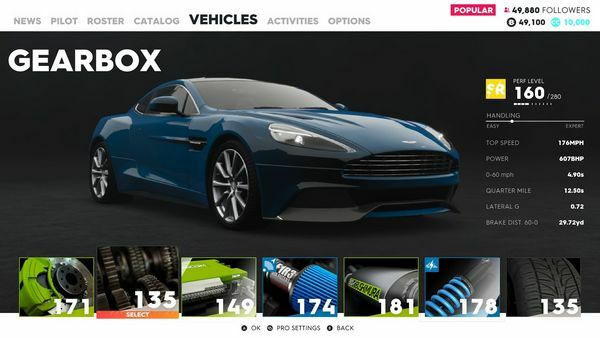 It fulfils the MMO grind niche in the game, looking for pieces that will upgrade your favourite car’s handling or speed, as well as have other RNG effects which should move things in favour of your success. Upgrades; they follow the familiar colour grading of MMOs, though green pieces may be better for the car – higher grade pieces may simply be carrying extra perks instead. In a “realism be damned” concession to a good gameplay experience, you can swap these pieces in and out while travelling around the map, making upgrades a pretty straightforward process. Drive over these pieces and you’ll find them available straight away. Miss one, and it’ll be sent to your mailbox, though. Where is your mailbox? While logic suggested it should be accessible from the menus, the game informs you it’s at the HQ, though travelling to your Florida HQ is actually a mistake. “I know what a mailbox is,” I thought, wandering around and looking for something that matches the description. No joy. I ended up having to turn to Google for the answer to this, finding I wasn’t the only person being denied their post thanks to a design decision trying to be more clever than is needed. It turns out that it isn’t your own HQ; it’s the HQ of whichever racing speciality you were taking part in at the time. The unintuitiveness here is inexplicable. As mentioned, there is no real story to speak of exactly, though this doesn’t stop the game from having what feels like a slightly satirical edge. Progress is gated through the use of an XP system, though the points are actually described as “followers”. Win a race, get followers. Perform a stunt, get followers. Take photos of specific subjects, get followers. Each race “family” (speciality) has an established champion for you to ultimately beat, though your reason for doing so is about as shallow as “because they’re there”, and there was no sense of importance in doing so. Perhaps the problem comes from how you progress – even failing in the tutorial, you get praised for your non-evident talent… but it doesn’t matter as you still gain celebrity thanks to your increasing “followers”. Progress through the game feels like this, where being seen is more significant than being successful. Is this a satire on celebrity culture, of fame in the Instagram age, or of any one of countless YouTube channels high on subscribers for no discernible quality? Being popular is what is of value to you and everybody around you, and faced with this it is hard to see why beating an established veteran is motivating to anybody involved, you as a player included. So far I’ve been describing the game as a single player experience, and there is an important reason for that – the multiplayer is so lacking it could very nearly not be there, and in the game’s current state its complete absence likely wouldn’t be noticed. Driving around you may occasionally come across another player, either as a solid vehicle or as a ghost – very occasionally, sadly. You would think that the race events would be ideal for a multiplayer game, having formal rules in set locations for limited numbers of participants… and there is no matchmaking to let this happen. You can race other players, much as you can freely drive around the open map with them, but these are in groups that you form yourself beforehand. For a game with a requirement of always being online, part of a series that is often billed as being part driving game, part MMO, the absence of formal multiplayer is staggering. Ubisoft have indicated that there will be PvP racing content added by the end of the year, and as with the first game in the series the content update pipeline will likely change the game into something significantly more polished further as time passes. But how do you assess something that hasn’t happened yet? Being asked for money on the promise of what a game might be after further development isn’t meant to be a AAA approach, it’s more like a Kickstarter campaign. There’s a lot to criticise in the Crew 2, and it’s upsetting to do so. The core racing events are fun, and frustration at losing turns into something ecstatic at winning, as well as curiosity for what upgrades the RNG might give you. But this is so little of the game, and what else is there feels underused – the game world has room for so much more, and the need to be online is a slap in the face when the game does so little for players to compete with each other. It’s not a game to dislike because it is bad – the bits it does well, it does very well, and there is still enjoyment to be had in there. It’s just that there is an overwhelming sense of disappointment, a feeling of missed opportunities… or perhaps DLC opportunities waiting to happen. It’s a game that will likely be a very different experience to play in six months time – definitely a title to come back to and re-review, because I look forward to seeing what it will become. But in the state it currently is, it’s a lot harder to recommend.